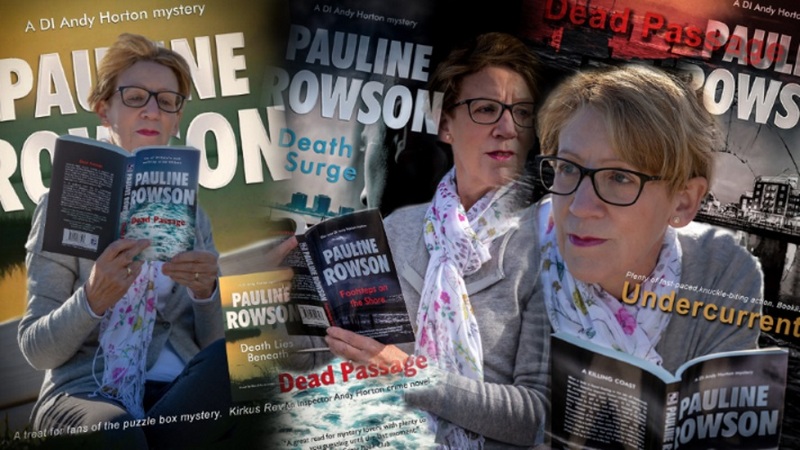 Pauline Rowson - one of Britain's most exciting crime writers: What is the first Inspector Andy Horton crime novel and the latest by Pauline Rowson? What is the first Inspector Andy Horton crime novel and the latest by Pauline Rowson? Tide of Death is the first in the DI Andy Horton series. Tide of Death introduces Andy Horton who is back in CID after being suspended for eight months on a gross misconduct charge. His marriage has broken up and he's living on board his small yacht in a marina in Portsmouth on the South Coast of England. Out running in the early morning of a foggy August Bank Holiday Monday he almost trips over the naked body of a man on the Portsmouth beach. Horton has a murder to solve and a point to prove, he is still a good cop. Determined to clear his name and re-establish his reputation, Horton finds his personal problems sidelined as he sets out to find a ruthless killer. But you don't have to begin with the first in the Andy Horton series. The Inspector Andy Horton police procedural crime novels can be read in any order because each is a standalone mystery. In each DI Andy Horton (and there are now 13 in the series) there is a new crime for the flawed and rugged detective to investigate and there is also the drama of his unfolding personal life and his quest to discover the truth behind his mother's disappearance (Jennifer Horton) thirty years ago. It can never be determined which book in the series a reader might buy or borrow from a library first so I need to weave in Andy Horton's back story and his personal quest, enough so that the new reader can pick it up but not too much so that it bores the reader who has read the Horton series from the beginning. Some readers have told me that they've discovered Andy Horton in a later book in the series and then having done so have gone back to the beginning and read them in sequence. 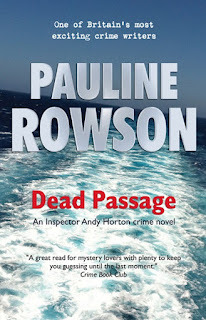 DEAD PASSAGE is the latest to be published (2018) So DI Andy Horton has come a long way since first appearing in Tide of Death in 2006. The Inspector Andy Horton crime novels are available as paperbacks, e books, on Amazon Kindle and Kobo, as unabridged audio books and in large print. 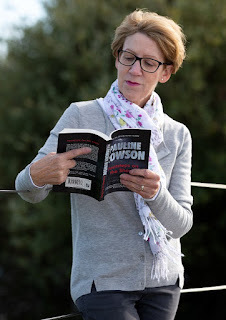 If you've enjoyed reading my crime novels please do tell others, we'd also love for you to leave a short review or rating on Amazon as it all helps to introduce the novels to new readers.